Joining us today is Jonathan Allen, President of Longneck & Thunderfoot, a 2016 Arch Grant recipient company. Jonathan discusses his passion for sharing the journey and best practices of start-ups and entrepreneurship. London born, Jonathan jumped the pond in 9 years ago and acquired a local publication titled EQ in 2017. EQ Magazine focuses on St. Louis' entrepreneurial scene. Jonathan tells us about how a special girl landed him here in St. Louis. What is takes ... See More to become an Arch Grant recipient. Why Jonathan feels networking is so important? What it means to build a Brand-Ads company. 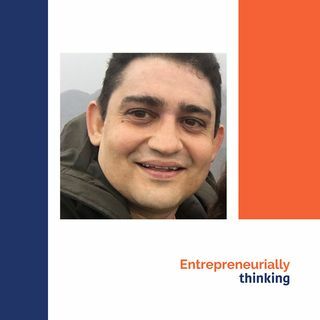 Jonathan talks about time management for serial entrepreneurs. Traditional advertising models verses new advertising models.